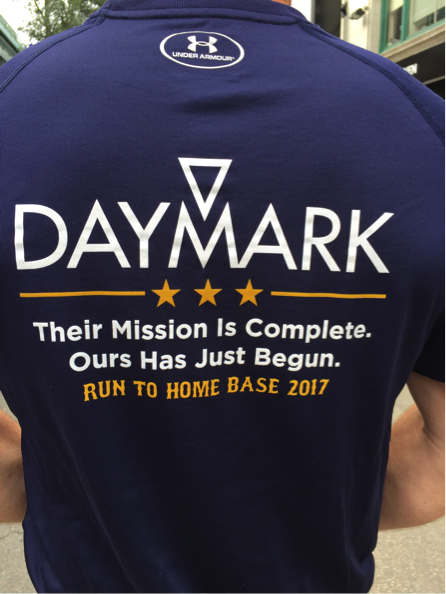 Lexington, MA, July 17, 2017 – For the 8th straight year, Daymark employees and their families supported “Run to Home Base” an annual event committed to helping veterans suffering from mental trauma and brain injuries. Over 2,400 people participated in this year’s event which took place on July 15th. “Team Daymark” was 18 members strong. 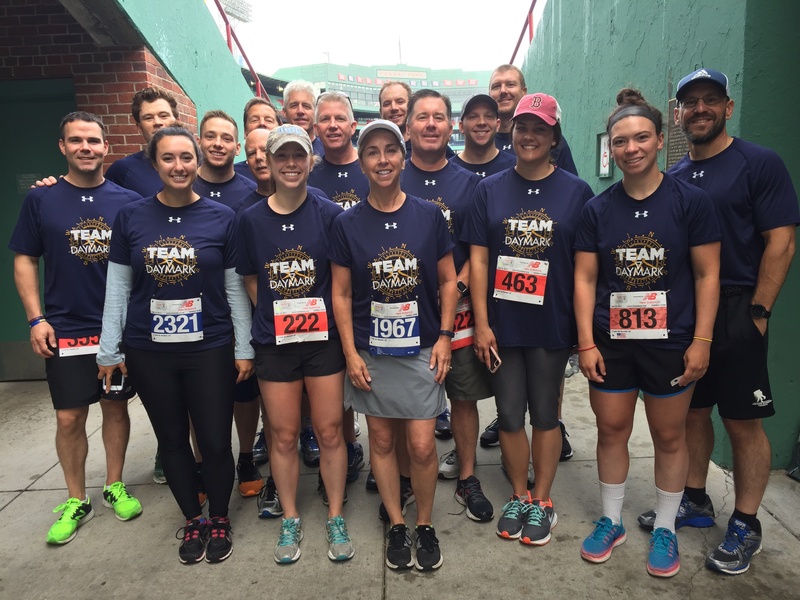 Run to Home Base is dedicated to healing the “invisible wounds of war.” It consists of a 9K/5K route through the streets of Boston with the finish line at home plate in historic Fenway Park. All funds are donated to New England veterans and their families affected by combat stress and traumatic brain injury. Since its creation, Run to Home Base has raised more than $13 million to support the program. "It is truly inspiring to participate in this event. Run to Home Base reminds us of those who have given so much to ensure our freedom. As we say, ‘Their mission is complete, ours has just begun,’” said Brian Casey, General Manager and COO at Daymark. “Each year our commitment and fundraising increases. As a corporate sponsor we raised $25,000 this year and to date, our team has raised over $125,000 for this worthy cause thanks to the generosity of our employees, friends, suppliers and partners.” Anyone wishing to donate this year can do so by visiting the Team Daymark Donation Page.